If you’re searching for a fun, high energy restaurant with delicious food, BJ’s Restaurants are an excellent choice. With signature deep dish pizzas, garden-fresh salads, sandwiches, burgers, signature pastas and entrÃes; BJ’s has something for everyone. Of course, everything tastes better paired with one of BJ’s award-winning handcrafted beers. Enjoy delicious, innovative spin on your favorite foods, including deep dish pizzas, salads, sandwiches, pastas, steaks, and so much more. 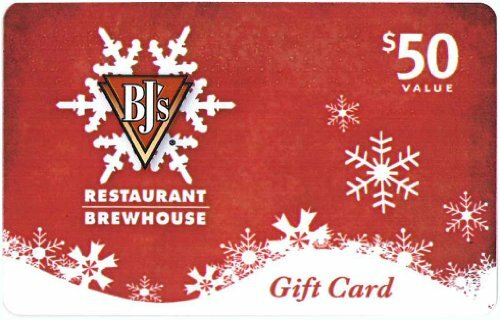 Redeemable at participating BJs Restaurants nationwide and online. 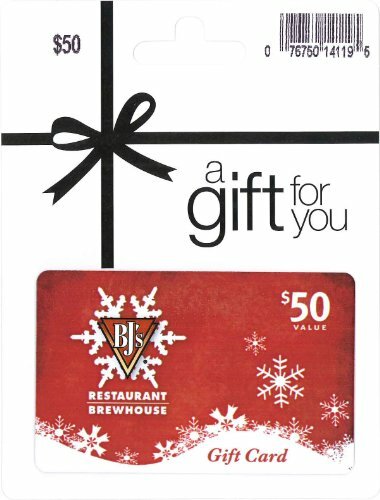 BJ’s Gift Cards make perfect gifts for holidays, anniversaries, birthdays or any special occasion.